The conservation of 8 large windows on the north and south sides of the presbytery clerestory, including the installation of a bespoke ventilated environmental protective glazing system, and in-situ conservation of the large east window of the presbytery clerestory. The high level presbytery stained glass at Winchester Cathedral is nationally important and includes glass of the highest quality; it houses works of 15th century art to the north and south elevations, from the circle of arguably the greatest medieval glazier, Thomas glazier of Oxford. The main lights depict figures of standing saints and prophets within architectural niches on a tiled pavement, whilst the tracery lights have feathered angels and seraphim standing on wheels. This scheme was sponsored by William of Wykeham, who was Bishop of Winchester, Lord Chancellor of England, and the founder of New College and Winchester College, Oxford. The east window is the work of Flemish glaziers associated with major commissions, including royal commissions in the early 16th century, and commissioned by Bishop Fox. 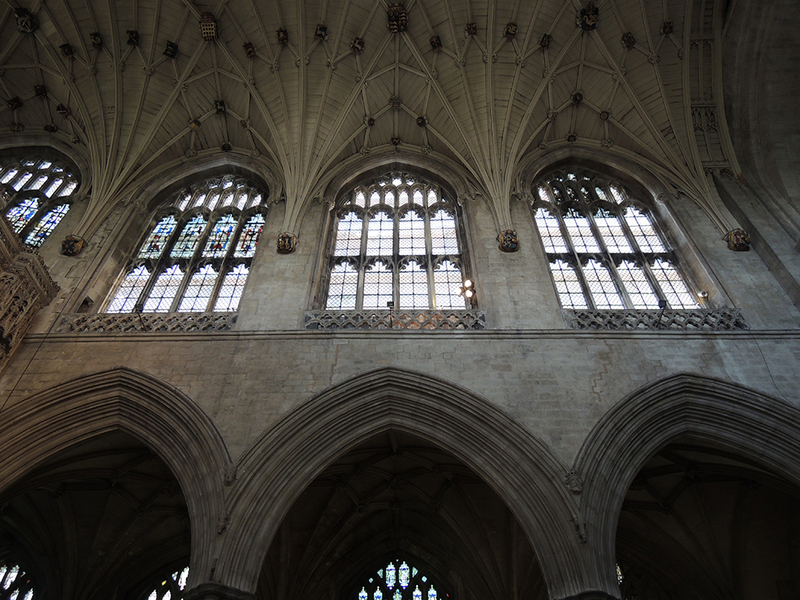 The influence of the distinguished patrons of the building and its glazing, and the architectural progression of the cathedral sponsored by them is significant. 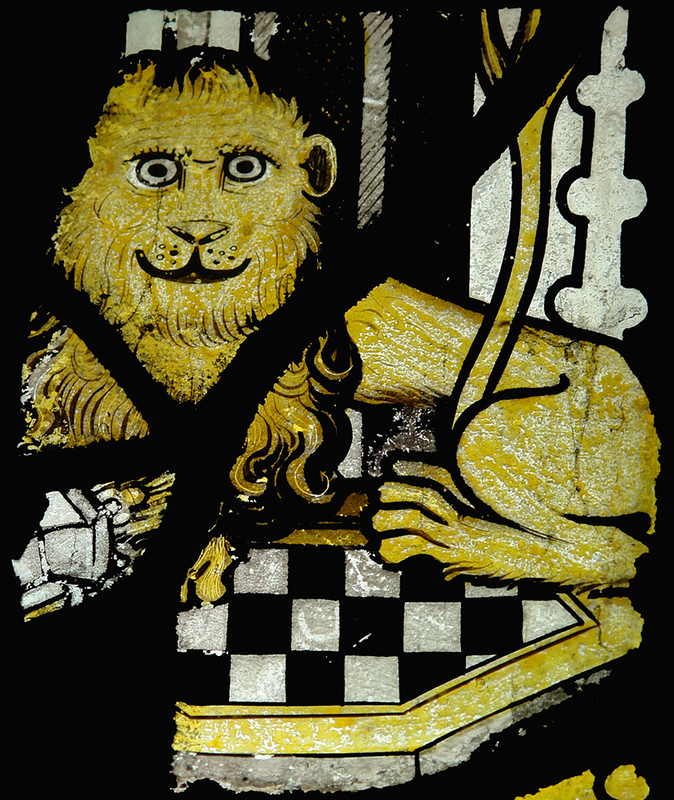 The glass was in very poor condition structurally, and in need of urgent attention. 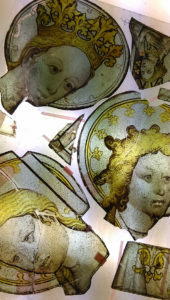 Holy Well Glass have taken on a phased programme of repair, based on the international conservation principles of minimum necessary intervention. Distinct approaches have been adopted for the 15th and 16th century glass. 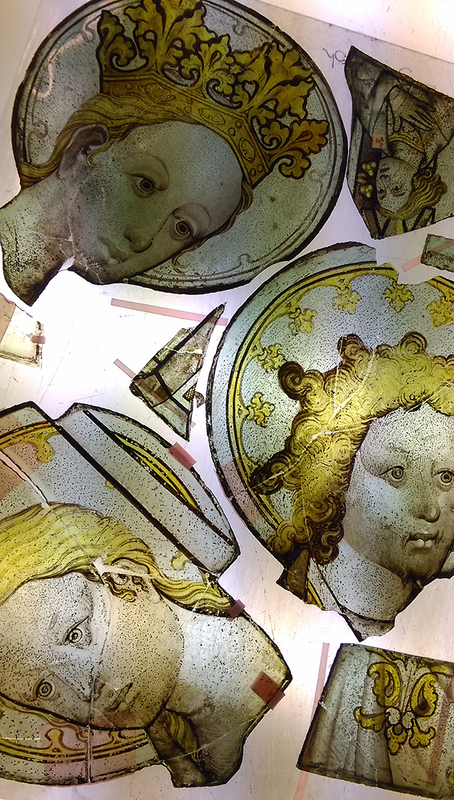 For the east window stained glass, which is generally in good condition, in-situ cleaning has been carried out. For the stained glass in the north and south elevations, the panels have been removed to the workshop, where removal of the lead has only been considered where the lead is in a structurally poor condition. During these repairs it has also been possible in selected areas to remove obtrusive leads that have disfigured main details, for example hands and faces, and a number of previously broken pieces have been edge-bonded together. A system of internally ventilated environmental protective glazing has been installed to the north and south elevations to arrest any further damage to the glass.